In tribute to Kitty Lux, this week is going to be dedicated to the Ukulele Orchestra of Great Britain. Starting with the live favourite: Lou Reed’s Satellite of Love. For this write-up I used the version on their Live in London #1 album. One down strum on D. Then back to the main strum. Chorus: One strum pattern for each chord. Then on the last line one down strum per chord. 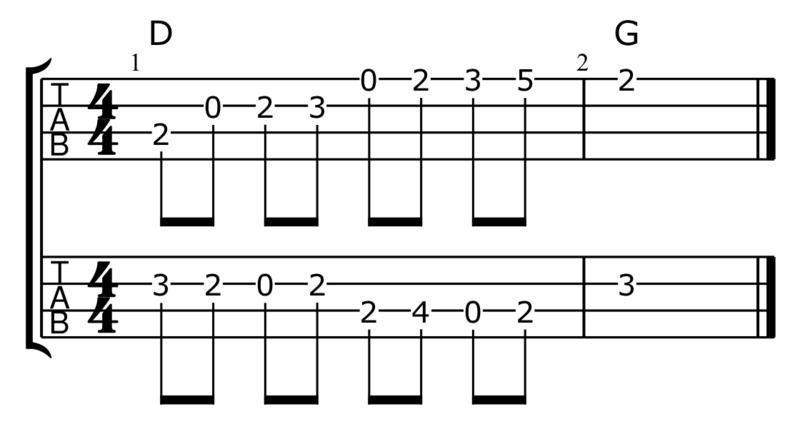 Middle: Play d – d u once for each chord. Except the G at the end of the second and fourth lines where you can play d – d u d u d u. At the end of each G-A7-C-D progression there’s a very clever pair of interlocking lines. One rising and one falling. I think the rising line is played using George’s mandolin tuning and falling line is played on baritone. But here’s my take on it using two standard tuned ukes.